This is why I can’t peruse Pinterest when I’m hungry (which is all the time)! I find oohey gooey chocolaty caramely peanutbuttery goodness that I just want to bake and gobble up immediately. Here’s what’s on my to-bake list (not Jenni’s, because she’s a freak and doesn’t like dark chocolate. 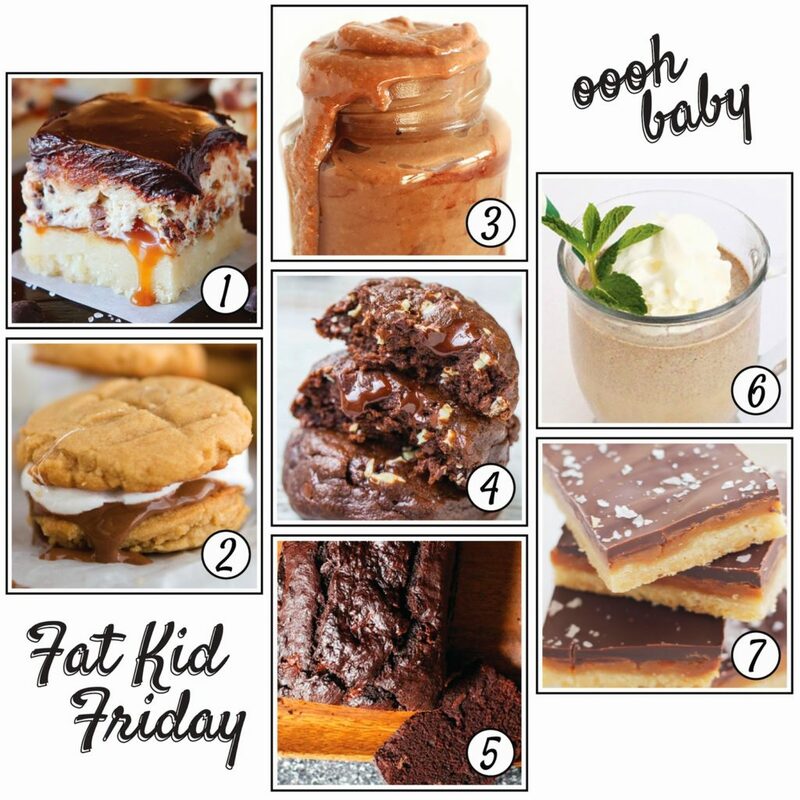 Can’t believe we’re friends)… it’s Fat Kid Friday: Chocolate Edition. …and i just gained 5 lbs looking at these recipes. Anyone tried these? Lemme know!